So I've received a nice email from Happy Skin, they have this ALL-NEW Happy Skin Air Touch Sponge! It looks like and functions like beauty blender, but even better. Happy Skin: Your favorite homegrown brand of skin-caring makeup! 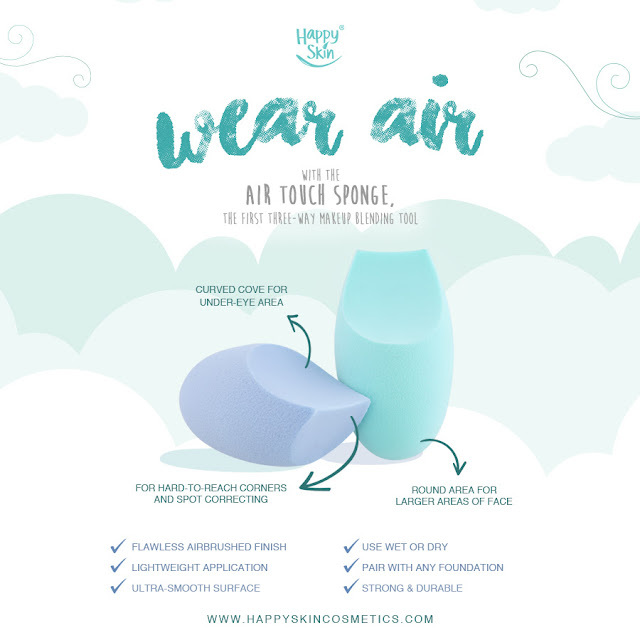 The ALL-NEW Happy Skin Air Touch Sponge can be purchased at: 2/F Glorietta 3, 2/F Greenbelt 5, 2/F Power Plant Mall, 3/F Trinoma, and 2/F SM Mega Fashion Hall.